Weather this Sunday has been again too complicated to leave more than 40 balloons to take off over the Alps. So we have to wait until Monday where is expected good weather to fly. 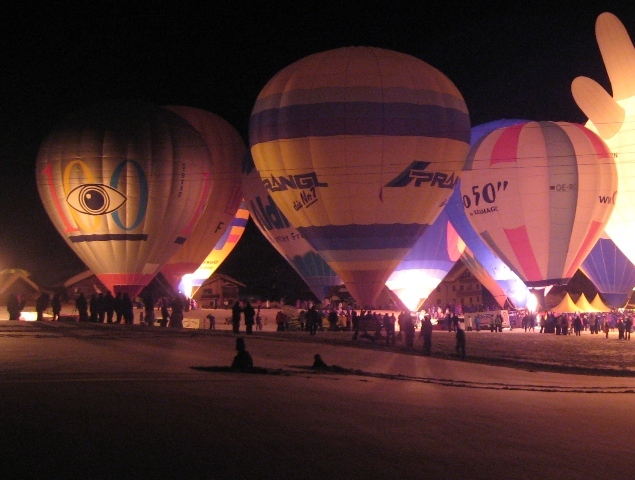 This afternoon all the balloons have done a night glow. Very successful as a lot of public was attending even the temperatures have been very low.